Hinzman, Larry D, Neil D Bettez, W. R Bolton, F Stuart Chapin III, M. B Dyurgerov, C. L Fastie, B. Griffith, G. J Jia, et al.. “Evidence And Implications Of Recent Climate Change In Northern Alaska And Other Arctic Regions”. Climate Change 72, no. 3. Climate Change (2005): 251-298. doi:10.1007/s10584-005-5352-2. 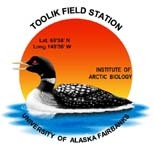 Bettez, Neil D. “Changes In Abundance, Species Composition And Controls Within The Microbial Loop Of A Fertilized Arctic Lake”. University of North Carolina, 1996. Rublee, P. A, and Neil D Bettez. “Change Of Microplankton Community Structure In Response To Fertilization Of An Arctic Lake”. Hydrobiologia 312, no. 3. Hydrobiologia (1995): 183-190. doi:10.1007/BF00015511.